Bruno loved the carnival, the noise, the laughter and gaiety, the calliope music, the merry-go-round, the shooting gallery and games of chance, the fun house with its crazy mirrors, the man who would guess your weight for a quarter, the fortune teller, the fat lady and the sword swallower. He marveled at how beautiful the Ferris wheel looked, outlined against the night sky in lights of blue, red, yellow and green. He wore a dark suit as if he had come from a funeral and kept his hat pulled down low over his face. As he walked among the crowds, he felt invisible because nobody looked at him. The air was cool and soft on his face. He ate his popcorn and smiled, genuinely happy. When Bruno saw Marion, he knew right away she was the one he wanted. She was standing in line at the Ferris wheel, accompanied by not one young man but two. She had brown hair, curled and pulled to the back of her head. She wore a print dress, glasses, lots of lipstick, earrings and a necklace. Her appearance said that she thought quite a lot of herself. She was nothing to rave about but she wasn’t ugly, either. Bruno watched the three of them, Marion and her two young men, as they got on the Ferris wheel and the fellow closed the bar over them so they wouldn’t fall out. Before the Ferris wheel started moving again, she looked over at Bruno and something passed between them. Call it a spark or a look of recognition. He felt it and he was sure she felt it, too. The Ferris wheel went around a few times and Bruno kept his eyes on the car that Marion was in. When the ride was over and it was time for her to get out, he was still standing in the same spot looking at her. As she and her two young men walked away from the Ferris wheel, her shoulder brushed lightly against Bruno’s. He stepped back with deference and she turned and looked at him over her shoulder and gave him a little smile that he believed was fraught with meaning. The next time Bruno saw Marion was at the shooting gallery. One of her young men was trying to shoot the metal ducks and was missing most of the time. When he failed to win Marion a teddy bear, she punched him on the arm and pretended to sulk. 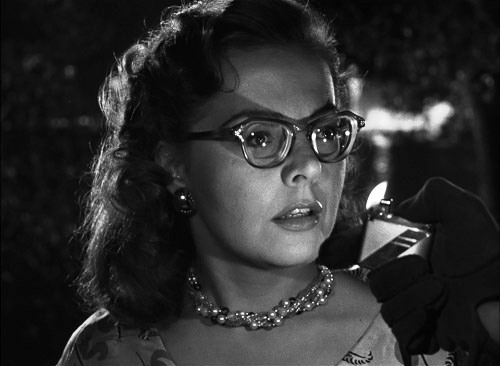 Before the other young man picked up the gun to give the ducks a try, Marion cast a quick glance behind her. Bruno was standing beside the refreshment booth looking at her. She quickly looked away, but he knew she had seen him and had expected him to be there. Then it was on to the merry-go-round. Marion sat side-saddle on the outside horse, her purse dangling from her elbow, and clung to the pole. There was room for only one of her young men on the horse beside her, so the other one stood awkwardly by the horse’s head, holding on to the reins. Bruno stood in a spot so that every time the merry-go-round went around Marion would see him. Round and round it went and Bruno was there, looking intently at Marion with that fixed smile of his while he slowly chewed his popcorn. And then he wasn’t there. He was playing a little trick on her. He could still see her but he had moved to a spot farther away where she couldn’t see him. When she saw he was no longer there, she craned her head around abruptly as far as the movement of the merry-go-round would allow. Her smile faded and she looked, to Bruno, disappointed. At Lovers’ Lane, the three of them got into a small boat, Marion between the two young men. The idea was to row across the lake to a little island, from which all the bright lights of the carnival could be seen as in a picture. Bruno let the two other couples waiting in line go ahead of him and then he took the next boat after them and rowed across. On the island, Bruno stood in the shadows and watched. He knew that Marion wasn’t far away. He heard her shriek playfully and figured that one of the young men was trying to get overly familiar with her in the dark. He saw her running with both young men chasing her. The three of them stopped out in the open and laughed, like children playing a game of tag. After that, Marion and the two young men went to another part of the island, presumably to neck and to be alone. Bruno waited patiently, though, leaning his back against a tree. He knew Marion would come to him. He smoked one cigarette down to the end and had just lighted another one when he saw her. She walked across the open space between the trees, alone, toward him. He didn’t know yet if she knew he was there, but soon she would know. He stepped out of the shadows and went to meet her. She smiled familiarly at him and he smiled back. She had been about to ask him how he came to know her name when he surprised her by putting his hands around her neck and squeezing. Her expression changed to one of surprise and then of fear and pain. She put her hands on his to try to get him to stop, but she had little resistance against his far-superior strength. He watched her closely as he strangled her and for a moment he saw the face of his father. He knew how to apply just the right amount of pressure with the thumbs and in a short time she was dead. He let her body fall gently to his feet. The two young men would come along soon looking for her and he wanted to be gone when they did. He crossed over to the far side of the island and circled back around to the little pier where the boats were kept. After he left the carnival, he wasn’t ready to go home yet, so he drove around for a while before stopping off at a bar. He sat on a stool, drinking his drink and smoking his cigarette, enjoying the feeling of anonymity the place gave him. No one looked at him or spoke to him. He was nameless and faceless. When he got home, it was almost midnight. His mother was waiting up for him, sitting on one of the leather chairs in her green bathrobe in the elegant sitting room. She rose to kiss him when he came in. “Mother, you should be in bed!” he said. “Did you have a good time, dear?” she asked. “Oh, if only!” she said, her eyes glistening like a child’s. “All right, Bruno dear.” She kissed him and was gone. He walked down the hallway to his own room and closed the door. After taking off his jacket and throwing it on the bed and kicking off his shoes, he sat down at his writing desk. He took a blank piece of paper and wrote two brief sentences (I did your murder. Not it’s time for you to do mine.) in his beautiful handwriting, folded the paper and put it in an envelope. After sealing the envelope, he wrote the address on it of a man he had met one time on a train and left it on the desk standing upright against a book so he would see it and remember to mail it in the morning. Posted in Uncategorized and tagged Allen Kopp, fiction, Marion, short story. Bookmark the permalink.